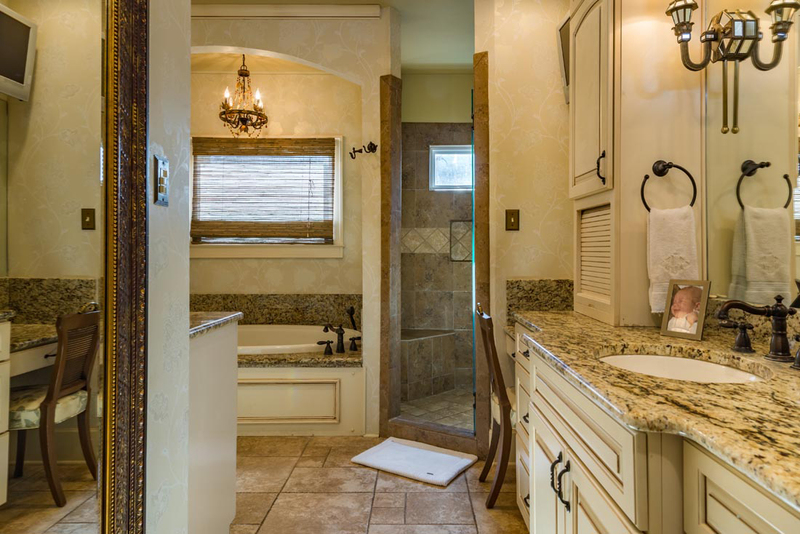 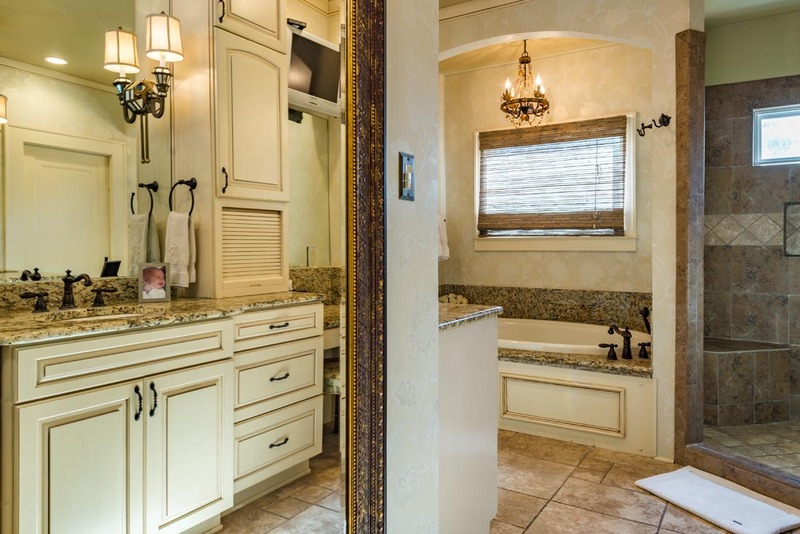 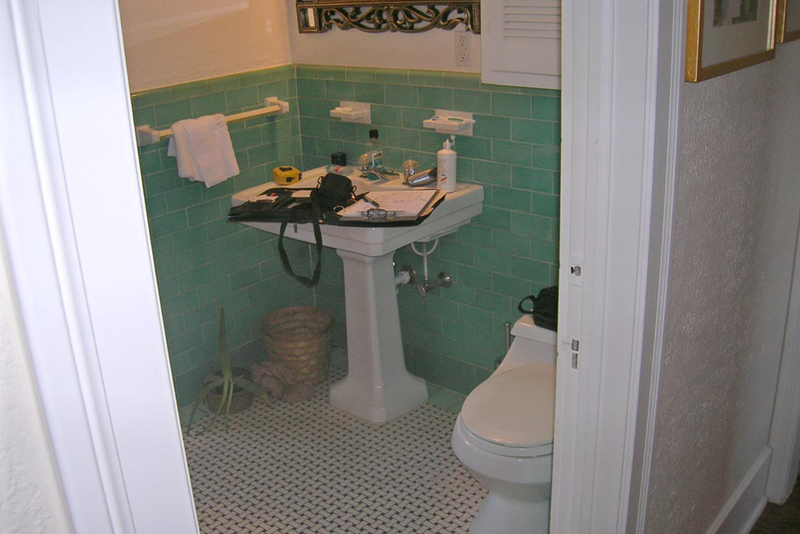 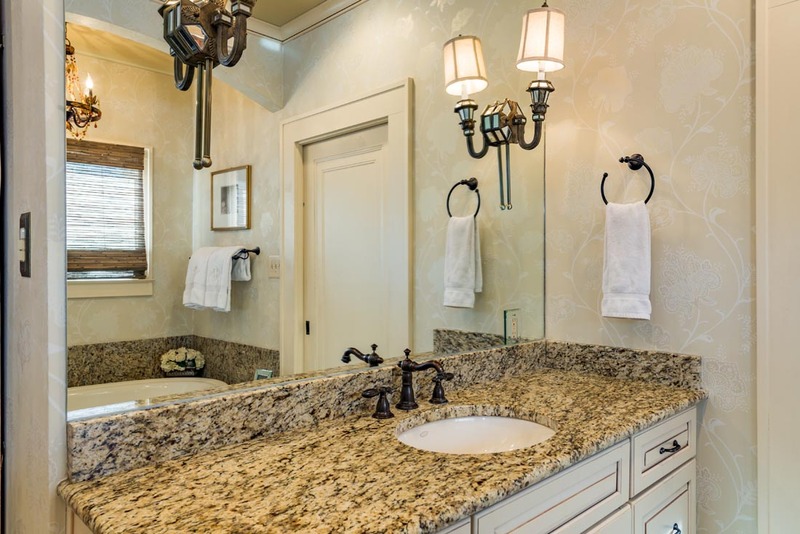 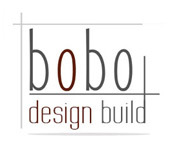 The master bathroom boasted an old fashioned layout with very little space and storage. 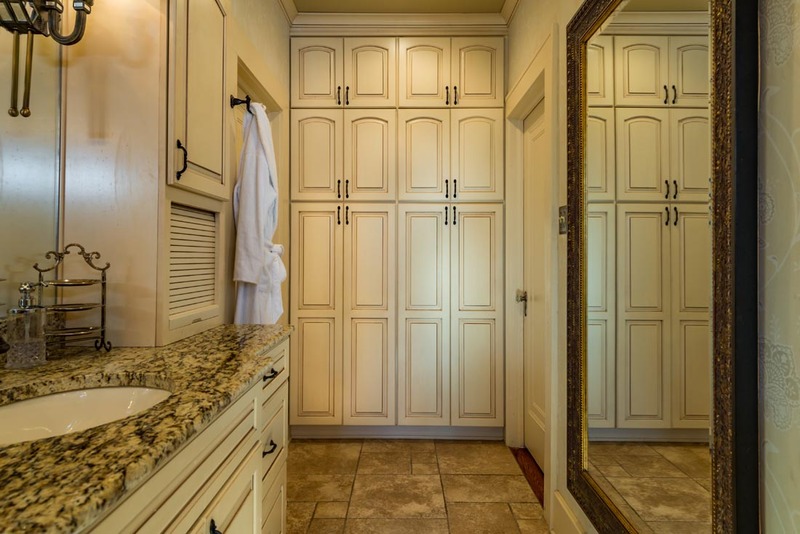 To enhance this room they upgraded to his and hers dressing rooms, a walk in shower and garden tub with a granite top. 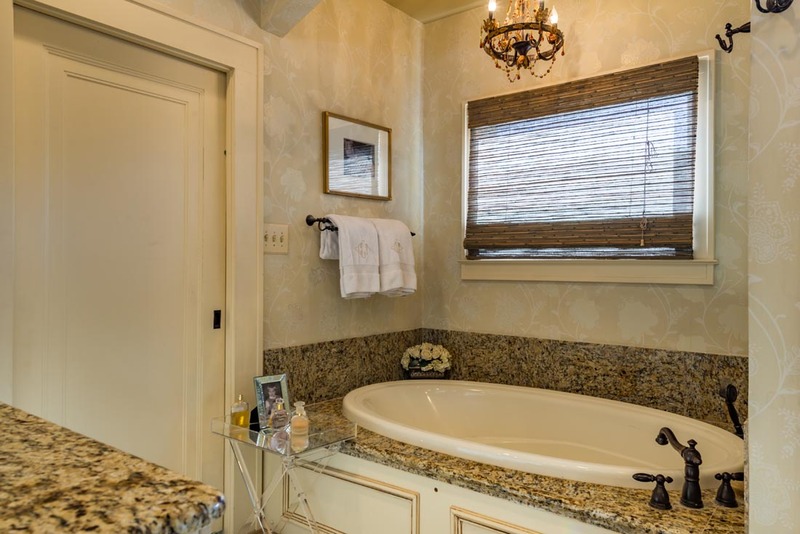 With glazed cabinets, wallpaper around the tub, a chandelier, dressing island and coffee bar, this was now a peaceful space to relax and recollect.